The Publishing Dream Team Behind Chicken Soup for the Soul – If you want to build your business, boost your star power, and grow your bank account, then I want to introduce you three veteran strategists who will work with you to help you accomplish more than you can imagine in your career. 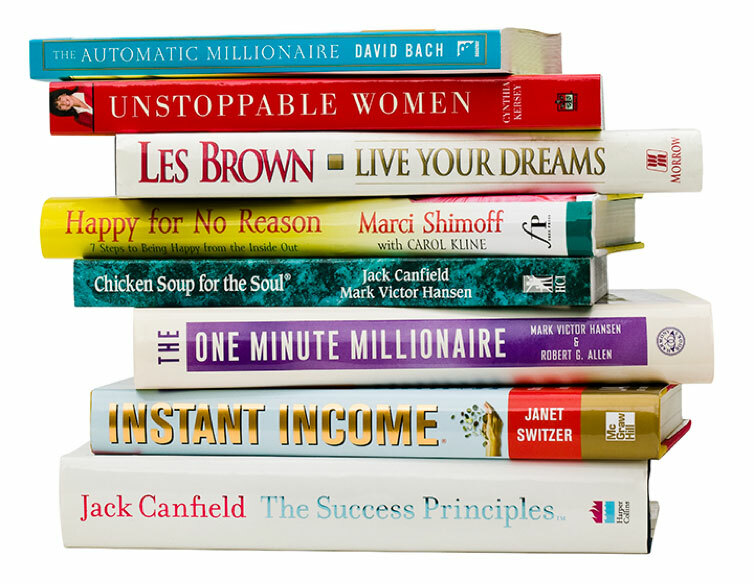 The Publishing “Maverick” Behind Chicken Soup for the Soul®, Jack Canfield, The Success Principles, Lisa Nichols, Les Brown, Jay Abraham, and 28 Other U.S., International and New York Times Bestselling Authors, Will Go to Work Skyrocketing the Careers of Just 10 Emerging Authors. If you want to build your business, boost your star power, and grow your bank account, then I want to introduce you to the strategists who will work with you to help you accomplish more than you can imagine in your career. Over the last 25 years, she’s worked with a team that has generated hundreds of millions of dollars in revenue from books, licensing, speaking engagements, training events, co-branding, corporate training, digital products, online marketing initiatives, coaching programs, foreign-language rights, international distribution deals – and more – for some the world’s most renowned authors of our time. These behind-the-scenes rainmaker can get a book published with a single phone call… put a marketing campaign together in less than 24 hours… secure a distributor with just an email… and recruit dozens of endorsers, affiliates, and joint-venture partners for virtually anything they want to sell – then repeat those tactics to insure rapid results for any new business venture, book release, or training program imaginable. The revenue they’ve been able to generate with their strategies is enormous. Just one book they wrote and marketed, for instance, landed a multi-million-dollar advance from one of New York’s “Big 6” publishers and went on to generate over $41 million in spin-off revenue. And that was just ONE book. Their lucky clients and business partners – whose content and products are popular around the world – enjoy sales of books, training programs and packaged knowledge products in 49 languages and 112 countries through trade channels, distributors, and retail outlets any author would envy. In fact, these “behind-the-scenes” publishing professionals have the industry’s most-coveted Rolodex of dealmakers, licensing partners, channel partners, publishers, and rainmakers – many of whom they enjoy decades-long relationships with. Interestingly, these business-building geniuses are not “famous” themselves – and you’ll rarely see them in the press. They’re far too busy running things in the background to be accessible to the tens of thousands of authors who could benefit from their advice. But through a lucky coincidence, two of them relocated to the Nashville, Tennessee area (one already lives there) – and when they all got together for a fun, relaxing dinner, they instead launched a plan to look for the next blockbuster bestselling authors. Could your book become the next Chicken Soup for the Soul? Could you be the next Les Brown, Lisa Nichols, or other motivational speaker with stadium-size audiences? Could your bricks-and-mortar business become the next industry leader because you became a highly regarded author, speaker, or coach to your peers? All these outcomes are possible. In fact, the WOMEN I want to introduce to you now have had a major stake in making these kinds of dreams (and so many others) come true for the past 30 years. To say they’ve seen it all (and negotiated most of it) would be an understatement. Patty Aubery is the first industry titan I want you to meet. Together with Janet Switzer (the second one), Patty built the Chicken Soup for the Soul book series into the publishing industry’s first billion-dollar enterprise. At the same time, she turned Jack Canfield into an author of 220 books selling more than 550 million copies in 49 languages, not to mention making him one of the world’s most respected trainers and advisors. In 1989, when Jack hired Patty, then just 24 years old, to work on his speaking engagements and self-esteem trainings from his home office in Pacific Palisades, little did he know what a dynamic force for growth she would ultimately be. First as an employee and later as his business partner, Patty has been the visionary leader for Jack’s career and transformational training work, as well as the key negotiator in deals, partnerships, media projects, spokesperson contracts, syndication agreements, channel distribution, and licensing arrangements totaling hundreds of millions in revenue. 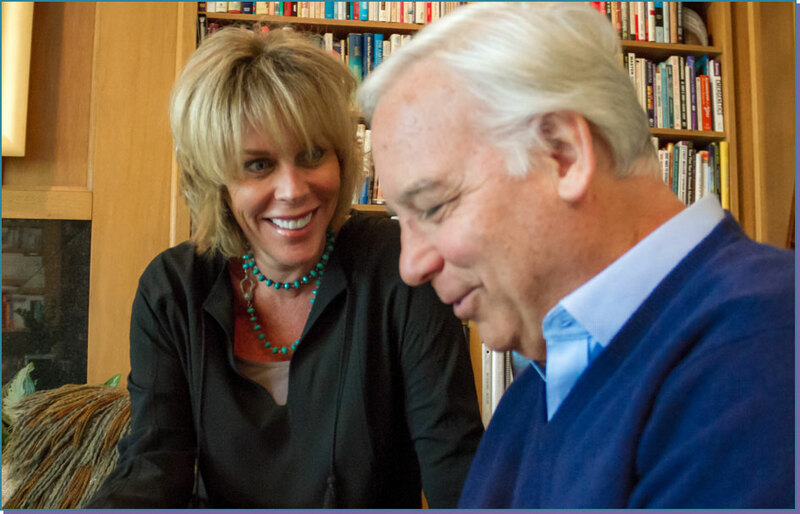 As the early architect of Jack Canfield’s growth strategy, operations and marketing partnerships, by 1993, Patty had mastered enough of the game to recruit Jay Abraham’s publishing director, Janet Switzer—already a veteran developer and marketer of 320 books, home-study courses and knowledge products—to help market their fledgling new book, Chicken Soup for the Soul. Together, what this publishing and marketing duo accomplished over the next 15 years astounded the 144 publishers who had turned down Jack for the original Chicken Soup opportunity. It also set him on a course that allowed him to skyrocket his career, market reach, impact, and personal wealth. When Patty negotiated the sale of the Chicken Soup franchise in 2008 (40 New York Times bestsellers later), she generated as much revenue in one day as they’d earned in the previous 15 years! Since then, Patty and Janet have worked to extend the reach of Jack Canfield’s career by packaging his wisdom and life’s work into more than 50 different formats including coaching, training, speaking, home-study courses, online programs, audio products, even an infomercial product—making him one of the premiere human-potential trainers in the world. Plus, these two women played a primary role in the globalization of The Canfield Training Group, eventually expanding its live training and coaching programs to 112 countries—including preparing thousands of emerging success trainers for professional careers in the transformational field as certified Canfield Methodology Trainers. Patty Aubery is definitely someone you’ll want to meet. As the chief negotiator, rainmaker, developer, manager and champion of Jack Canfield’s career and companies, there isn’t a project, program, idea, opportunity, market or career move Patty Aubery doesn’t know intimately. And her power Rolodex is unmatched in the industry. You’ve seen so many of her clients in print, on television and speaking on the platform, it might astound you to learn that Janet Switzer has been the common thread and secret weapon behind an entire generation of beloved authors and celebrity experts. 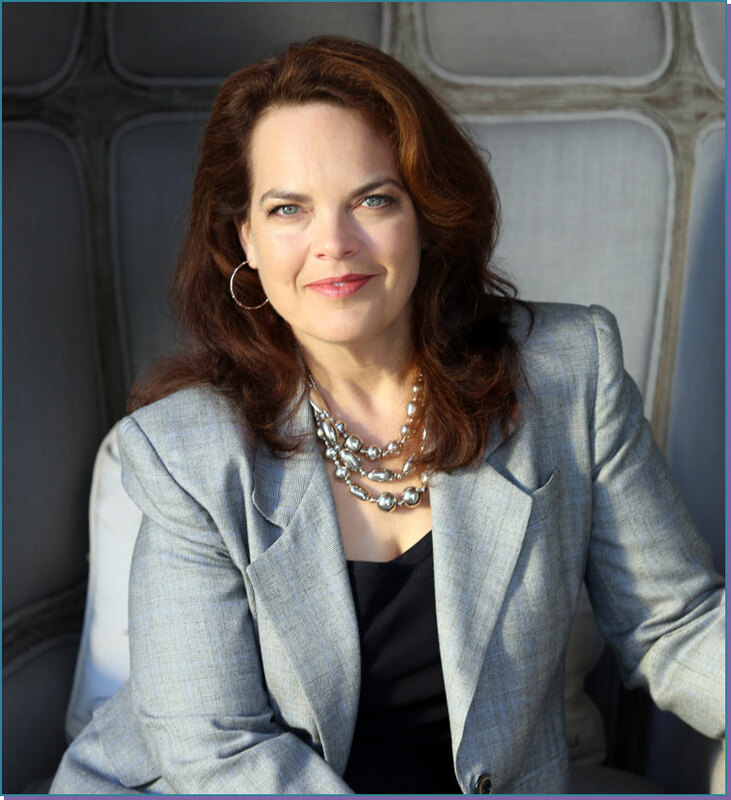 Since 1989, her consulting firm has advised 24 New York Times bestselling authors — contributing strategy, marketing campaigns and brand development to more than 75 New York Times bestselling books. As well, she’s worked with numerous Asia-Pacific billionaires, one reigning monarch and over 5,000 niche-market experts in dozens of diverse industries. For the past 30 years, Janet has been at the forefront of helping authors, speakers, trainers and industry experts grow wildly successful businesses around their authoring careers and niche-market expertise. She’s not only built product empires spanning hundreds of specialty titles for recognized authors and experts, she has engineered countless information-marketing campaigns and generated millions of dollars in the process. Since 1993, she’s been the marketing and revenue strategist behind Jack Canfield’s books, catalog products, seminars, luxury retreats, home-study courses, online trainings, and speaking career. For 15 of those years (until the brand was sold in 2008) she was the marketing strategist behind Chicken Soup for the Soul—including media campaigns, book promotions, direct-mail campaigns and specialty market campaigns, not only for the blockbuster book series itself…but also for its many New York Times and international bestselling coauthors. Before she met Patty Aubery and Jack Canfield in 1993, she spent four years building business guru Jay Abraham’s publishing division from seven titles to more than 320 titles for both the general business market and specialty professional markets. She developed an entire catalog operation—including training her own national telemarketing sales force offering books and multi-media products priced from $49 to $5,000. Janet was also instrumental in launching a multi-million dollar seminar division for Jay, including developing seminar curriculum materials and coordinating marketing programming for seminars priced from $5,000 to $25,000. She even marketed the industry’s first “mentorship” program—a term coined by Mr. Abraham—priced at $15,000 in 1990…an astronomical sum for group coaching in those days. After meeting Patty Aubery in 1993—and beginning work on Chicken Soup for the Soul and Jack Canfield’s career—Janet emerged as a successful independent consultant and the “secret weapon” behind dozens of bestselling authors and industry experts. Some were quickly becoming America’s newest media personalities with regular TV talk-show appearances and growing careers as authors. Others she identified and brought from obscurity to international renown and the world stage. For a self-published author in the alternative health care market, for example, Janet developed a seminar division, a subscription consulting program, consumer advertising campaigns and a brand licensing program that generated more than $1,000,000 in its first year. She also developed an international distributor network for the previously unknown author’s books and audio training programs, including selling distribution rights to an investor consortium who later franchised retail-style health clinics around the brand. Over the years, her high-profile clients have included celebrity speaker Les Brown, Thank God It’s Monday author Roxanne Emmerich, The Automatic Millionaire author David Bach, Chicken Soup for the Soul coauthor Mark Victor Hansen, and Thought Field Therapy (tapping) originator Dr. Roger Callahan, among many others. She’s even coauthored books like Abundance Now with The Secret co-star and self-help phenomenon Lisa Nichols… and Oola for Women with “The Oola Guys” Dave Braun and Troy Amdahl. But beyond writing and marketing mainstream books, Janet’s real forté is creating “beyond-the-book” revenue for authors—particularly in specialty markets. She’s developed radio-syndication campaigns, train-the-trainer programs, coaching programs, home-study courses and 40+ other revenue streams for clients like Christian author Laurie Beth Jones (Jesus CEO, Jesus in Blue Jeans and The Path); Internet marketing guru Yanik Silver; philanthropist Cynthia Kersey (Unstoppable Women); The E-Myth Financial Advisor coauthor Michael Steranka; among so many others. She specializes in developing entire knowledge-product businesses around an author’s expertise and unique market posture. But by far Janet’s most notable collaboration has been as Jack Canfield’s coauthor on The Success Principles book series, training programs and more. Over the past 12 years, their book has become a success classic that’s reached a pinnacle few other titles can boast. It was named the #1 Book for Managers, Leaders & Humans by Noop Research, winning the top spot over 99 other business classics including The One Minute Manager, The 7 Habits of Highly Effective People, Good to Great, and The Long Tail. It’s also remained the backbone of The Canfield Training Group’s product offerings for over a decade. In the last 13 years, Jack, Janet and The Success Principles have amassed readers in 36 languages and 112 countries… developed over 2,000,000 social-media followers… launched thousands of Success Principles trainers in 100 countries… and amassed coaching clients, event attendees and product buyers on five continents. Janet’s personal track record in this industry over the last 30 years has turned her into America’s top advisor to anyone who could benefit from being published and publicized. That means entrepreneurs, consultants, sales professionals, professional practitioners, specialty businesses, senior executives and others can add an authoring career, speaking schedule, coaching services, packaged products and consulting to their day-to-day work—creating not only leading-authority status in their industry, but a healthy side income, too. Janet’s also developed her OWN product line in the general small-business category—based on her #1 bestselling book, Instant Income—so she’s advised businesses in dozens of diverse industries and in virtually every business category including hi-tech, manufacturing, retail, service businesses, dealer-distributors, professional practices, consulting firms and more. When she’s not working with authors, she’s teaching business owners how to leverage their products, services, inventory, expertise, distribution channels, Internet presence, intangibles and other assets for countless millions in potential revenue. While you do have to qualify, be assured that this team knows what potential looks like. They’re not so interested in your book’s topic, your personal story or your “reach” in the marketplace as they are in the size of your potential as a bestselling author. Do you have passion for your topic? Are you interested in doing your career your way? Are there enough people who can use your wisdom and advice? They’ll assess all these attributes in determining whether they’re a good fit to help you—and whether you’d be a good client fit for the Team. 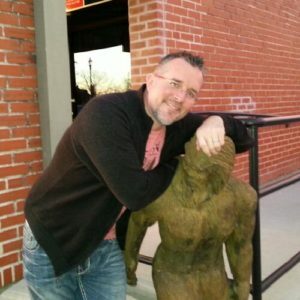 Creating the kind of meteoric authoring career you want requires planning—not luck. That’s why Patt and Janet and Karen want to meet with you in person to completely strategize a comprehensive plan for you. They’ll detail the exact steps you need to achieve YOUR goals for your business, authoring career, training company or media empire. By the time they’re through, you’ll have a fully developed road map for building your career or business in a way that makes sense and plays on your unique strengths—posturing you as someone uniquely different and as someone the market needs to listen to. And only then will you meet in person—getting ready to “go big” in this industry. If you’ve ever paid for a “consultation” with an expensive lawyer, financial planner or other professional, this time with the Team will be different from anything you’ve experienced before. For one thing, they’ll learn all about you in advance via a focused questionnaire and assessment guide I’ll send you. After reviewing it, they’ll take the time to “work on your business” before determining a recommended plan. Once you’re together, they’ll brainstorm “killer” marketing copy, suggest upgrades to your web marketing systems, point you to vendors who can help, plus so much more. They’ll record the session for you so that every headline, copy point, sales script, negotiating technique or other recommendation is captured for your future reference. They’ll do all this—plus they’ll continue the advice after your planning session by immediately emailing sample marketing campaigns and other documents directly from their own private archives. Are You Ready to Invest in Your Career? Only a handful of client openings are available. If you’d like to be considered for one of just 10 advisory client openings, which includes the questionnaire and assessment tool, the Team’s personal advance-planning focus, three days of on-site meetings—plus important follow-up documents, samples and contacts along with eight months of ongoing advice—call me, Todd Armstrong, Director of New Business Development, at (949) 310-9638 to secure one of the slots. You can book a time online as well. What Do People Say About Working With Patty and Janet? 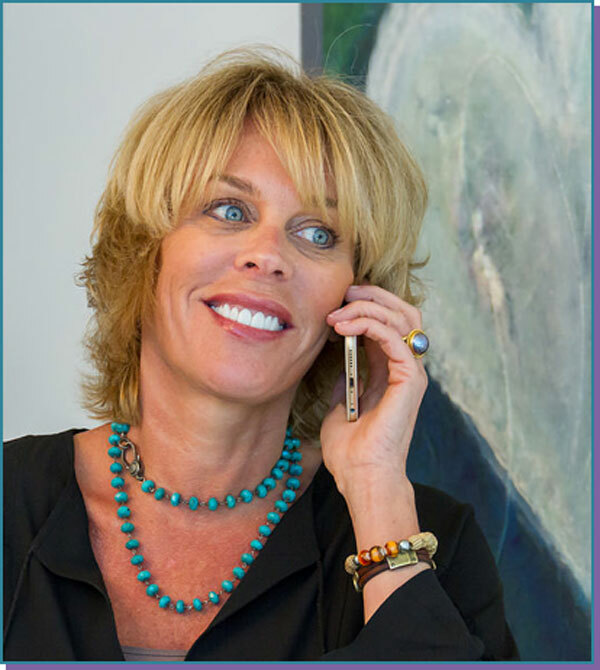 “When I first met Patty at a retreat in Sedona, it was a transition period in my life. I was not sure of my purpose, but I knew there had to be something more. Not only did Patty believe in me, but by the end of our weekend together she had me believing ANYTHING was possible. I applied everything she taught me and within one year I became a successful Life Coach, #1 Bestselling Children’s Book Author and International Speaker. Patty is simply brilliant. Her business expertise is unparalleled. As a result of what I learned, I was able to up-level my life in every area. She taught me to think big, and then bigger again. Patty changed my life and I am forever grateful. What will you know by the time your in-person, strategic planning session is over? You’ll know exactly which markets to pursue in building your business. The team will identify which consumers, end users, joint-venture partners, media outlets, endorsers, corporations, trade associations and others to approach in securing distribution for your work. While “everyone” might be able to use your material and insights, everyone is not the most logical BUYER of your products and services. Patty and Janet know exactly where you should focus—because they know these markets thoroughly. Between them, they’ve worked in every major consumer category—from self-help to teens to working professionals to the women’s market and more—and they’ve done work in virtually every business market, too—including retail, service, professional practices, manufacturing, ecommerce, hi-tech, dealer-distributor organizations, network marketing, consulting firms and more. They’ve helped authors, trainers, coaches and consultants leverage products, services, inventory, expertise, distribution channels, Internet presence, intangibles and other assets for countless millions in potential revenue. . .all this in geographic markets stretching from the United States to China to the United Kingdom—and in Asian-Pacific markets like Australia, Malaysia, Indonesia, and more. Why worry about where the real money can be made, when your dream-team advisors can pinpoint these markets for you? Not only that, but the media, online affiliates, trade associations, licensing partners, meeting planners—these are “markets,” too, and your team will identify these distribution channels for your work so you can correctly market yourself to the players who can do the heavy-lifting of marketing for you. You’ll also be given the positioning, posture and marketing message these categories will say “yes” to. What’s So Important About Making Certain Your Positioning and Messaging Is Correct? For example, a primary driver for trade associations is making “off budget revenue”: money they didn’t plan for and don’t have to do anything to bring in. If you have a way to present a training program for their members at the next convention, and offer to split the tuition fees with the association giving them off-budget revenue, they’ll be more apt to say “yes” to your idea. Then, back up that new joint-venture relationship with superior marketing of your program (which the Team can define for you), and your training program could become so successful that you convert that success into a “resident expert” relationship with the association for future trainings and exposure. See how building a major market presence for your expertise works? You could even sell your training system to the association or a major corporation — as one of Janet’s clients did recently in the financial services industry. Of course, beyond just identifying markets and messaging for you, the Team will also help you identify an entire line of “beyond the book” products so you can expand your ability to transform your customers’ lives and earn many times what your book alone will earn. Someone once asked me how much I made for my first ‘Guerrilla Marketing’ book. The answer I gave was $10 million. The book itself only paid me about $35,000 in royalties, but the speaking engagements, spinoff books, newsletters, columns, boot camps, consulting, and wide open doors resulted in the remaining $9,965,000. Your product line will include your book and derivative works; your packaged courses or online courses; your live trainings and other live events; consulting services you might sell; plus other products the Team will help you determine—plus they’ll even advise on pricing for these products and services, too. If you ever wondered how these products get produced quickly, the Team will explain that during your strategic planning session—including how to make sure your products have a high perceived value for your customers. A major part of your strategic planning session will focus on developing a comprehensive marketing plan for your products, services, trainings, and book—including online marketing, social media, affiliate marketing (others endorsing you), funnel marketing, your website, and easy marketing campaigns you can start with. The Team will also help you by creating a list of vendors who can provide the services you need—quickly, economically, and with as little hassle as possible. Are you interested in developing a speaking career delivering your wisdom to live audiences of all sizes? As part of your strategic planning sessions, the Team will create a comprehensive plan for starting your speaking career including mapping out your speaker’s kit, identifying possible topics for different markets, revealing how to get bookings, and pinpointing where to focus first. Of course, this is completely separate from helping you develop a training business where you hold your own workshops and events (if you desire). They’ll discuss that, too! In fact, it’s fairly easy to launch as a new trainer with all the different events and other training opportunities out there. You can attach yourself to other people’s event to start—or begin holding your own workshops right away. Collectively, the Team has worked with countless trainers to identify the best places to start—and map out a complete marketing infrastructure for filling these events. Would You Like to Be a Media Personality on TV and Radio, As Well as Online and in Print? One way to drive people to your work, your website and your workshops is to become a media personality seen and heard on television, online, on the radio, in print and elsewhere—whether in the mass market or in specific industry publications that would help your career even more. The Team will map out your media kit, introduce you to service companies who can handle your social media campaigns, educate you in handling inquiries from the press, reveal easy ways to get distribution of your press articles or column, and more. Your strategic planning session takes about 75-90 minutes—and you’ll find the process is efficient, focused and downright surprising in its scope. Remember the Dream Team will have researched you in advance and will be prepared ahead of time so there won’t be a lot of time taken up in learning about your work. Once your planning session is through, the Team will follow-up with supportive documents, sample contracts, names and phone numbers of possible dealmakers the Team recommends, tutorials, and other items that will be helpful to you. To secure your place as one of the Dream Team’s exclusive advisory clients, call me—Todd Armstrong, Director of New Business Development—at (949) 310-9638. Or click here to get on my schedule for a phone call at a time that’s convenient to you. Information, ideas and market acceptance can change rapidly. Not only do you need to be nimble in bringing your products, services, books, and media presence to market, you also need to constantly reinvent yourself with new expertise and new offerings for your readers. Whether you’re self-published, a seasoned author, or just starting out as an author, it’s virtually impossible to know everything about publishing, marketing, product development, and distribution—let alone meet all the people you need to know to advance your message at today’s rate of change. That’s where an advisory-client relationship like this can help. Your Dream Team advisors—three smart, connected and savvy industry veterans—will help you cut down on the learning curve and shorten the time required to bring your book, your products and yourself to market. Again, the cost to work with Patty, Janet and Karen is less than you’d pay an ad agency, PR firm, marketing team, or most “mastermind” programs to stick with you over eight months’ time as you build your business. And those firms don’t know 1/10th of what Patty Aubery, Janet Switzer and Karen Anderson have learned, marketed, negotiated, produced and distributed over the past 30 years in this industry. Finally, when you work with veteran experts at this level, you’re not taking chances that you’ll be disappointed by the outcome. The Team Will Be Focusing on Just 10 Authors. To secure your place as one of the Dream Team’s exclusive advisory clients, call me—Todd Armstrong, Director of New Business Development, at (949) 310-9638. Just 10 authors will get this opportunity in April. Will one of them be you?